Welcome to 8 Seat Design's new online store! 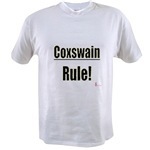 With a little help from our friends, we are now selling a number of our uniquely designed, rowing and crew related products online. We invite you to take a stroll through our design galleries and browse our latest additions. Hopefully a few of our items will “stroke” you the right way and you’ll take a few of them home with you. 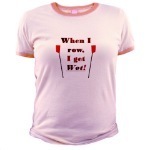 8 Seat Design is where you will find the latest in rowing T-shirts, hats, sweatshirts, tote bags, coach’s shirts, and more. We realize there is a certain sense of humor, pride and ego that surrounds boathouses and crew teams and have used those influences to create our unique line of products. Ready to enter the world of 8 Seat Design ? Have a design idea? Want something customized? 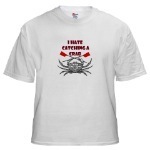 Team Shirts?